New Jersey recently surrendered a title it was happy to lose. 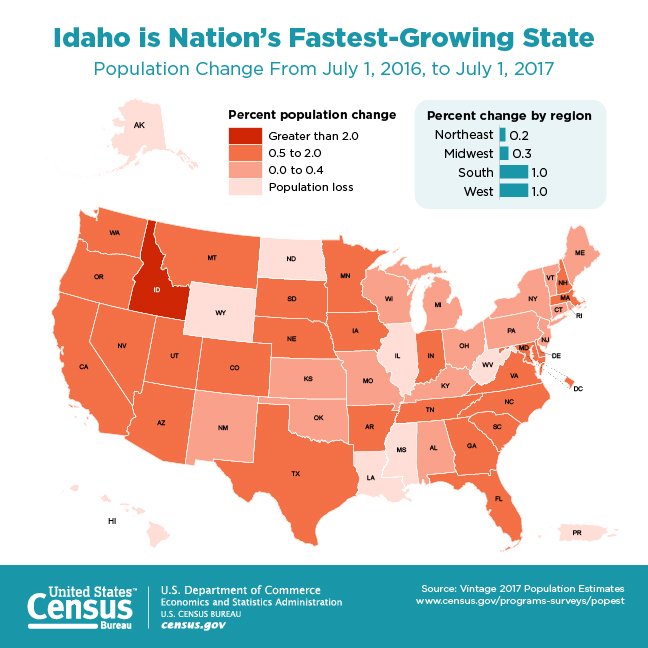 For the first time in six years, it was not the state that saw the highest percentage of its residents leaving to live somewhere else. The new owner of this dubious distinction? Illinois. New Jersey was #2. When your state finds itself in dire financial straits, most notably with a severely underfunded pension plan, the knee-jerk reaction is to get more money into state coffers by dong the most obvious thing: tax everything, more. It is a simple, bleak, but largely overlooked reality that residents can permanently reject this ever-increasing, state-sponsored raid on their assets and income in one fell swoop. They can just leave. Want to take your fat pension payouts and pay no state income tax on them, all while slashing your cost of living while you enjoy much better weather? Florida awaits. Is it any wonder millennials are fleeing NJ faster than any group? As retirees flee to avoid having their now-fixed-income taxed into oblivion, millennials flee to avoid having their fledgling worklife incomes taxed into oblivion as the state desperately attempts to keep paying those retirees their pension benefits (which no longer get taxed because they’re sending all those checks to Florida). Ironically, the federal government holds the taxation trump card. Few US citizens are willing to out-and-out leave the country to avoid taxes. But as unfunded obligations loom and spending skyrockets (potentially, literally, on sky rockets: Space Force! ), we get a tax cut. The entire country is operating on both borrowed money and borrowed time. Despite all appearances, there are actual consequences to these financial actions. Position yourself accordingly ahead of time, because you’re right: This is madness, and the resulting comeuppance will be dire. The federal government can (but shouldn’t) run perpetual deficits because it controls the currency. It also has a mostly captive tax base. People can migrate within the US, but escaping the IRS completely is a lot harder (another letter for another day). States don’t have those two advantages. They have tighter credit limits and their taxpayers can freely move to other states. Many elected officials and civil servants seem not to grasp those differences. They want something that can’t be done, except in Washington, DC. I think this has probably meant slower response by those who might be able to help. No one wants to admit they screwed up. If you take the almost $22 trillion of federal debt, well over $3 trillion of state and local debt, and add in the $6 trillion debt of underfunded pensions, you find that the US governments from the top to bottom owe over $30 trillion, which is well over 150% of GDP. Technically, we have blown right past the Italian debt bubble. And that’s not even including unfunded Social Security and healthcare benefits, which some estimates have well over $100 trillion. Where is all that going to come from?